I don't know why but I'm starting to be drawn to the color red more and more. I think because it's a warm color and is inviting. I haven't ever been confident wearing it just because it's an attention color and I'm a total introvert. Recently, over the past few years, I've become more confident in myself and have bought more red clothing and am loving it! 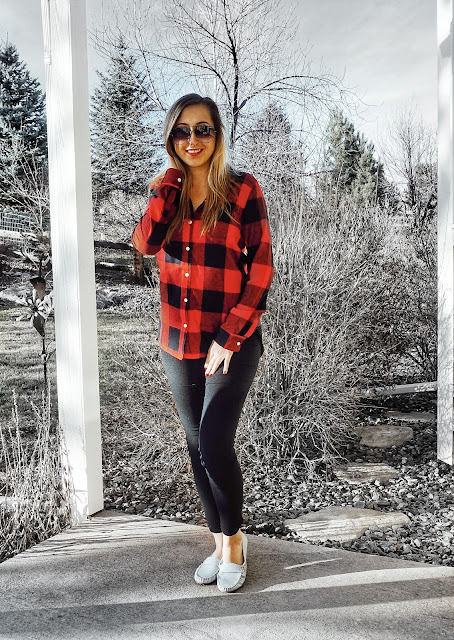 This cute flannel is from Old Navy (Relaxed Plaid Twill Classic Shirt for Women - click here) in the color Red Buffalo Check. I had an old one but after a few washes, it shrunk so I had to get a new one. I got M Tall and it fits like a glove! I've also seen some cute ones at Kohl's (click here). 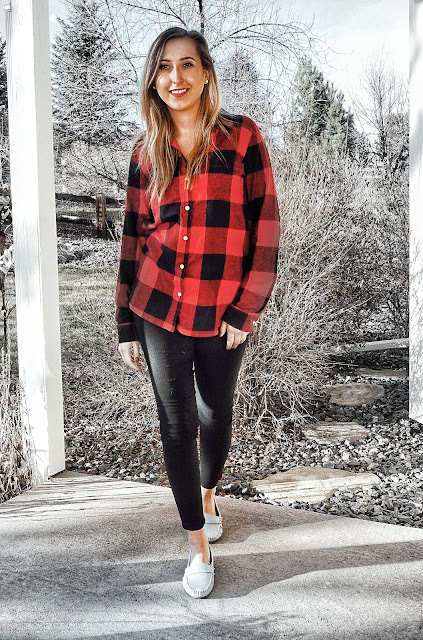 My absolute favorite is the ahhhmazing flannel from American Eagle (click here) because it's literally the softest material in the entire universe! My sunglasses are from Quay Australia and I actually bought them through Nordstrom because they offered free shipping! Quay offers $5 shipping, while Nordstrom is free! I actually have 3 pairs total from Quay - faded black, gold, and silver. My favorite would have to be the silver because I'm obsessed with reflective lenses. I can do a look with them in a later post! The pants I'm wearing are from Rue21 but it's no longer available. 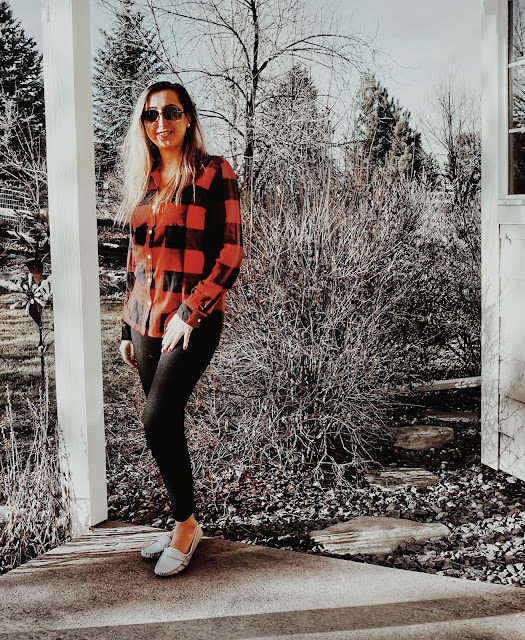 A wonderful alternative are the Old Navy Mid-Rise Black Rockstar Super Skinny Jeans for Women - You really won't regret this purchase. They are amazing! Lastly, these amaaaazing Driving Loafers for Women were featured in my black friday post under Old Navy and they finally came in!!! I actually ended up getting the wrong size so I had to go swap them out today but I'm totally obsessed. I want one in every color now. They are super comfy and cute. I think they would be perfect with any outfit - flannel (like me) , white, black, pink, literally any color would match with them. Highly recommend them! Old Navy actually has a leopard print one that keeps selling out so I'm keeping my eyes peeled as soon as my size becomes available, I'm gettin it!